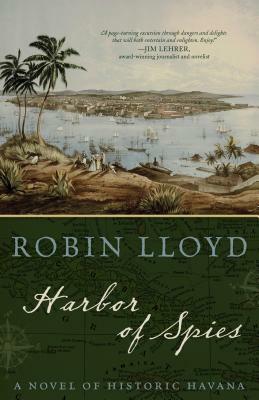 HARBOR OF SPIES is an historical novel set in Havana in 1863 during the American Civil War, when the Spanish colonial city was alive with intrigue and war related espionage. The protagonist - a young American ship captain by the name of Everett Townsend - is pulled into the war, not as a Naval Academy midshipman, as he had once hoped, but as the captain of a Havana-based blockade-running schooner. Even as Townsend gets entangled in the war effort, he also finds himself being pulled into the dangerous investigation of a murdered English diplomat which threatens his own life. Townsend becomes ensnared in the investigation of the Backhouse murder by rescuing a man from the sea, who turns out to be a prison escapee from El Morro Castle. That good deed to help this stranger condemns the protagonist himself to a Spanish prison, and sets in motion a plot where Townsend struggles to maintain his own sense of identity. He falls into the clutches of a Spanish merchant, who is making money off the American war, who introduces him to a world of spies, slave traders, and Spanish seductresses. From the bars, to the docks, to the dance halls, Townsend takes us into colonial Havana and then to the slave plantations in the interior even as he prepares his ship to run the blockade. The protagonist's trouble-ridden experience leads him to become emotionally involved with the daughter of an American innkeeper in Havana. Together they help each other grapple with the uncertain moral terrain of a city caught up in the American war and the growing controversy over slavery. Throughout the novel, Townsend can never shake loose the mystery about the man he helped save. As a foreigner and an outsider, he finds himself trapped by mysterious forces and circumstances beyond his control which ironically help him discover his own family roots in Cuba, and finally convince him to become a spy for the North. The novel is not only a richly drawn portrait of Spanish colonial Havana in the days when Cuba was flush with sugar wealth, but also provides a realistic look at the blockade runners that helped form the supply line into the South's Gulf ports. A little-known fact about blockade running in the Gulf of Mexico in the early years of the Civil War is the important role that sailing schooners played in bringing arms and ammunition into the shallow harbors, bays and inlets that line the Gulf coast from Florida to Texas.